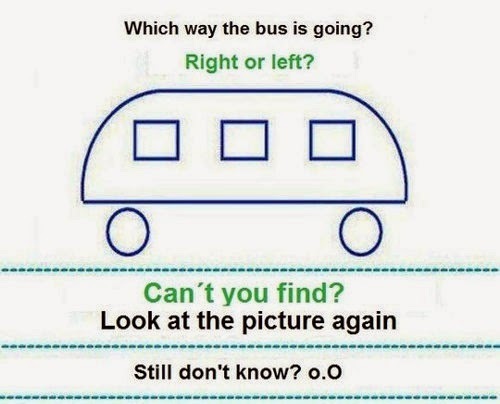 Which way the bus is going ? The direction will depend on the Country the bus is in. The Bus is going to the right as you cannot see the door to get in. The Bus is going to the left as you cannot see the door to get in.